On Friday Nov. 24, Suzanne came to the WPKN Studios, said hello to John Reid from FTC and Steve DiCostanzo General Manager of WPKN and then sat with Bruce Swan for a half hour and talked about Bob Dylan and her tribute concert to the man on Dec. 9. WHAT DO BOB DYLAN AND LEONARD COHEN HAVE IN COMMON? Westport – Yes, both men are songwriters; yes, they are both musical icons of the latter half of the 20th century; yes, both are standard-bearers for human rights; yes, they both had multiple life-partners. But what they solidly have in common is singer/performer Suzanne Sheridan. Few women have attempted to conquer the oeuvre of even one of these men much less both in the time frame of less than a month. But no one has ever accused Suzanne Sheridan of being timid in her approach to music. On Friday November 17 from 6-8 PM, The Suzanne Sheridan Band will be performing the music of Leonard Cohen who died exactly one year ago. The concert will take place as part of the “Coffeehouse at the Wheeler’s” series at the Westport Historical Society, 25 Avery Place in Westport. Sheridan has actually been performing Cohen’s music (and Joni Mitchell’s music) since 2010. Those performances have taken place in the US and Australia and Canada. But when Cohen died, Sheridan felt compelled to keep his music alive and created a concert dedicated to him, which her incomparable band played to overwhelmingly enthusiastic reception in Canada just this past summer. 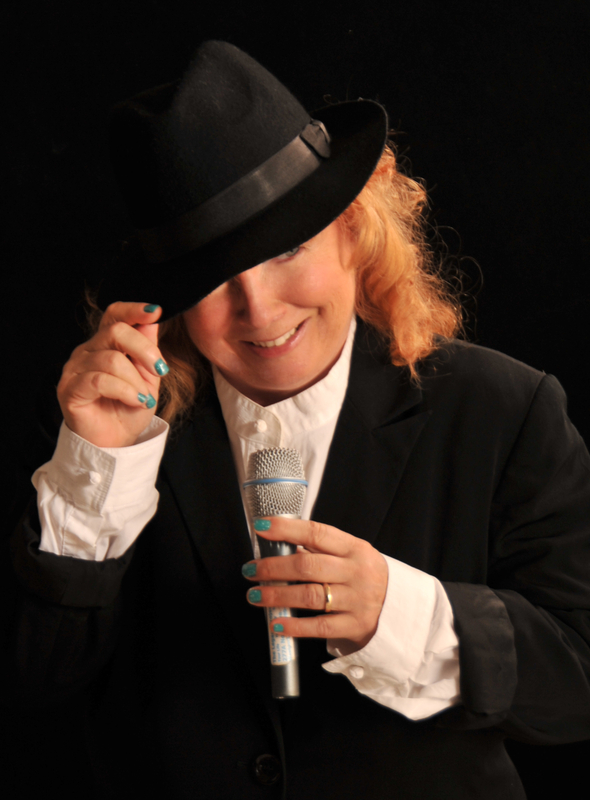 On Saturday December 9 from 8-10 PM, The Suzanne Sheridan Band will be performing the music of Bob Dylan at Voices Café at the Unitarian Church in Westport, 10 Lyons Plains Road. 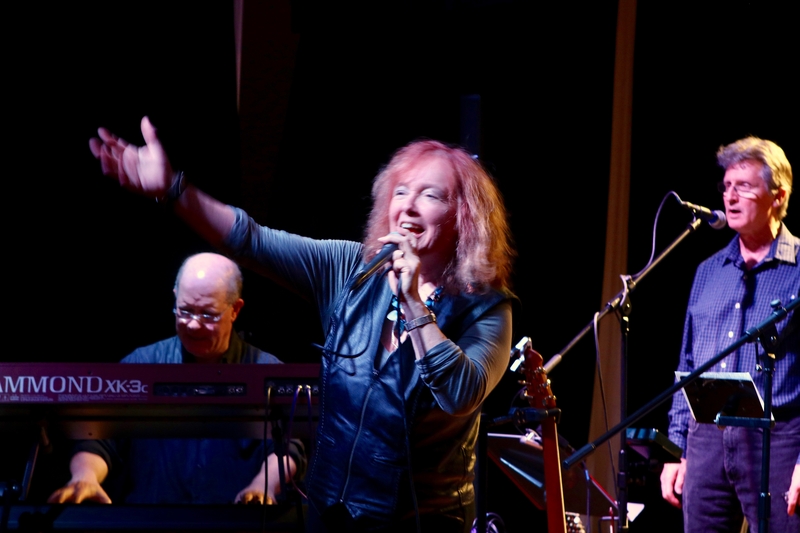 Sheridan first covered the music of Bob Dylan with her band at “Coffeehouse at the Wheeler’s” on April 28 of this year. That concert was immediately sold out so a second concert was scheduled for May 12 and as soon as it was announced, that concert was also sold out. The following week, on May 20, the band took the Dylan concert to New Milford’s Merryall Performing Arts Center and that show was sold out. On August 12 of this year, the band switched gears and took the Leonard show to Canada. Westporters were still hungry for Dylan and Voices Café scheduled the Dylan concert for December 9. The Westport Historical Society was hungry for the Cohen music and scheduled the concert for November 17. This is Sheridan’s Olympiad of the finest male songwriters of the last half of the 20th century and you can join her on this epic journey. She is up to it, her band is up to it, and hopefully you will be up to it. This chance may never come again. To reserve tickets for the Leonard Cohen concert on November 17, call 203-222-1424. To reserve tickets for the Dylan concert on December 9, visit Voices Cafe or call David Vita at 203-227-7205 x 14. SATURDAY AUG. 12, 2017 OH CANADA!! For the third year in the last five years, Suzanne Sheridan has been asked to perform at the glorious Piggery Theatre in the glorious Quebec lakeside resort of North Hatley. On August 12, 2017 The Suzanne Sheridan Band will be performing the music of Canada’s Leonard Cohen and until you hear Suzanne singing Leonard’s “I’m Your Man” you have not experienced one of life’s greatest moments. They love Leonard in Canada, they love Suzanne in Canada, you will love her singing his music. Joining Suzanne in this extraordinary show will be Bob Cooper on keyboards, Joe Meo on sax and clarinet, and Jake Habegger on drums. Suzanne is on vocals and guitar. Join us by Lake Massawippi in North Hatley, Quebec for the summer’s best night. Suzanne Sheridan has found a new friend in Bob Dylan. Bob has never sounded so good and neither has Suzanne. The Bob Dylan Tribute Concert started on April 28, 2017 at the Westport Historical Society. That was sold out so the WHS added another concert date on May 12. That was sold out. Then on to the Merryall Center in New Milford to a packed house and they were an immediate hit with the audience and got invited back for the 2018 season. They are being courted by several other venues including the Trumbull Historical Society, the Stratford UU, Voices Cafe, and more to come. July 24 is the date that Suzanne and Bob Cooper will be performing in concert at Meadow Ridge in Redding, CT; August 12 will find Suzanne and the band at The Piggery Theatre in Canada with the music of Leonard Cohen; September 15 they will be performing at The Buttonwood Tree in Middletown, CT.
We hope to see you at any or all of those performances. We do it all for you and we do it because we love the music. Just got another gig at another great performing arts space. Friday September 15 I will be there with some very friendly musicians. The Buttonwood Tree in Middletown is one of my favorite places ever. I played there with Exit 43 and it is as perfect a place as you could find. Every town should have a Buttonwood Tree. It’s located in the middle of beautiful downtown Middletown, easy access from lower Fairfield County and restaurants galore. I will keep you updated but SAVE THE DATE! Friday SEPT. 15.